A great tent for luxury out door event. 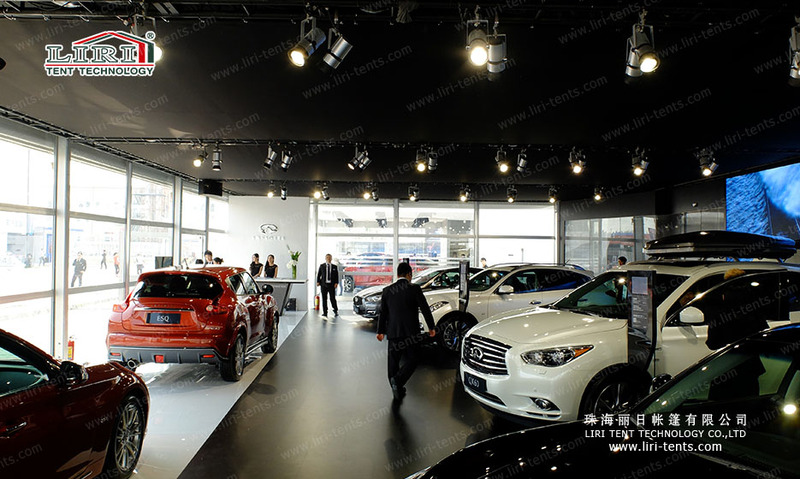 Liri Tent vendor successfully finished a job of 20x20m cube structure tent with glass wall for auto show. This is the most recent and most innovative product from Liri Tent cube tent series. With nearly cubic tent architecture, 4 meters side height and the possibility of using horizontally and vertically laid glass walling system, this large tent allows a new dimension of space design in its class. 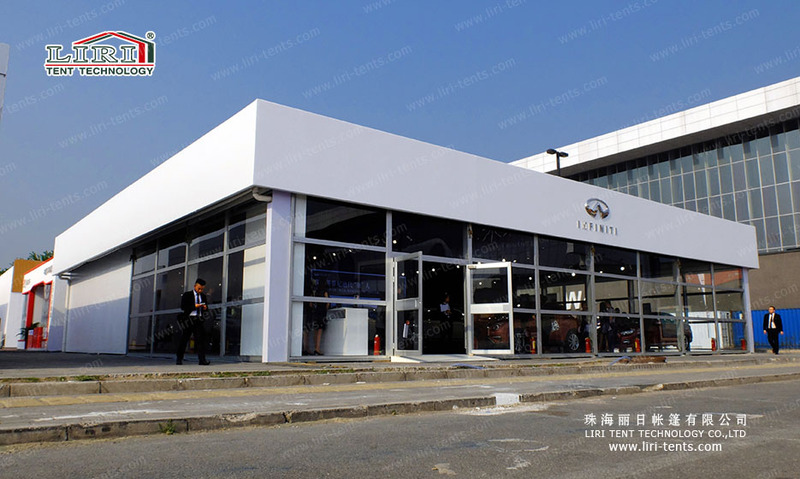 The basic tent shape of the Liri’s cube structure tent is a thermo roof with a slight roof slope and a surrounding roof parapet. It can be used as a large volume event and presentation hall, while at the same time a variant as an double decker tent with two levels can also be implemented.